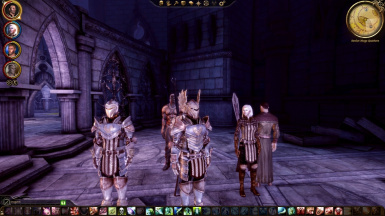 This mod will give you DA2 style Grey Warden armors and weapons for DA:O. 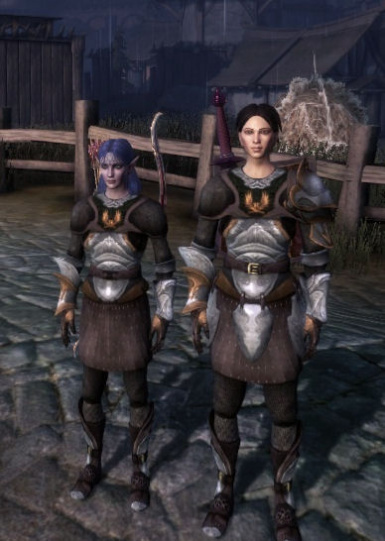 This mod also changes the appearances of all Grey Warden NPCs into wearing a uniform Grey Warden armors. 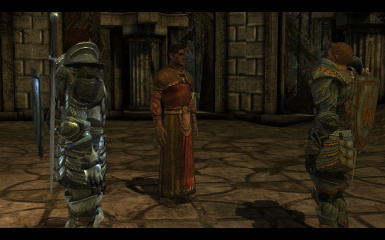 Spirit Healer Trainer at least the main file: Core Mod GWoF - REQUIRED or one NPC will be naked. 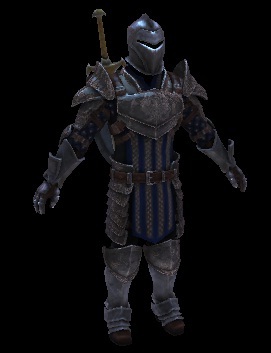 Added the Blighted Grey Warden Commander Armor set. 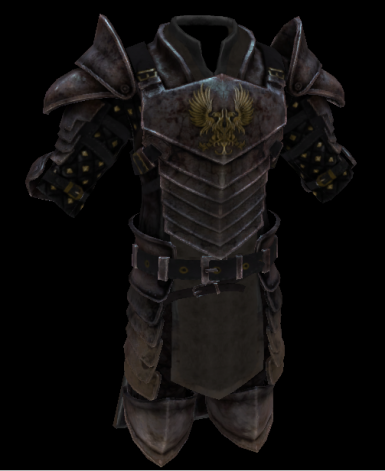 Added Ruck merchant to sell the blighted armor set with infinite number. 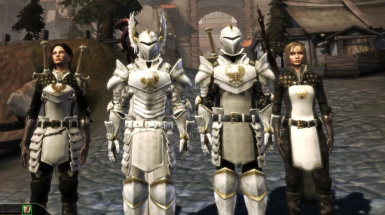 Changed Sophia's dryden equipment to wear the blighted armor set, fully dropabble along with the vanilla Grey Warden Commander armor and shield. 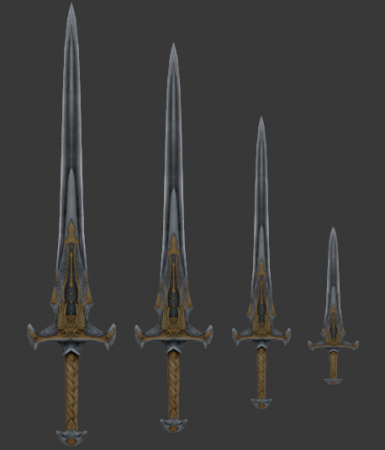 Reduced all Armor and weapons into Tier 1 with evolving materials based on your level. You may sell and rebuy them to/from merchants to upgrade the material tier. 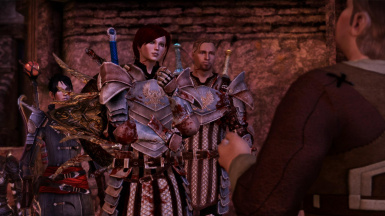 Added Wade and Herren's shop to sell the warden armors and weapons in Vigil's Keep in Awakening. 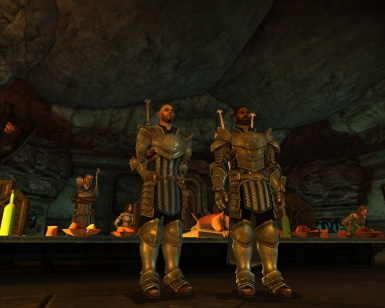 Set the number of stack of items sold by Mikhael Dryden's shop in Soldier's Peak as well as Wade and Herren's shop in Vigil's Keep in Awakening to have infinite 99x stack of each item. I want to thank you all for endorsing and using my mods. However, I would need to apologize to you all that due to real life and work commitments, I will no longer be able to support any of the mods I uploaded. I understand there are several people that are having issues in getting my mods to work. All I can say is I'm sorry, but there is nothing I can do to address them. I would like to thank the community as well for helping those with issues where I couldn't. I will forever be in your debt. 1. 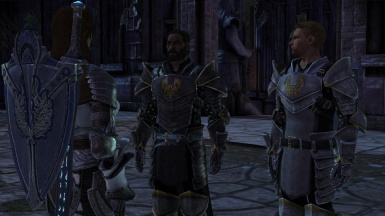 You will have access to have DA2 Legacy armor sets to be wearable by you and your party. 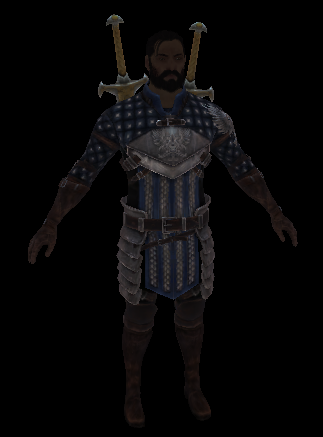 It can be spawned using the console "runscript givewardenarmors" and it will give you every single grey warden armors and weapons+shield such you need to use the console. 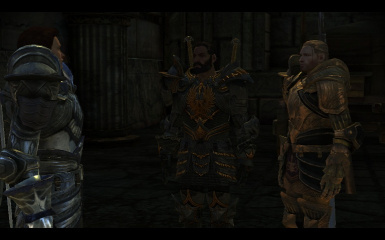 Credits for these armors goes to tmp7704/tmptmp. 2. 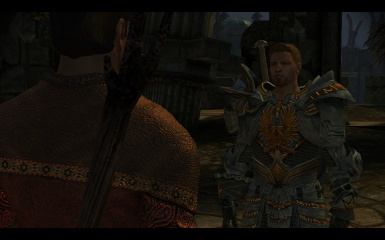 Duncan will be seen wearing the DA2 Legacy Warrior regalia massive armor. 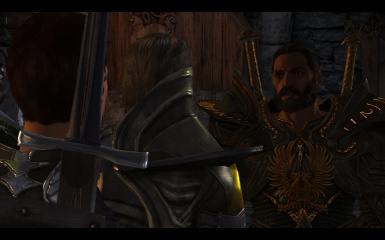 This signifies what a Grey Warden Commander of that kingdom suppose to look like. Protected, yet emitting this sense of just and determination. 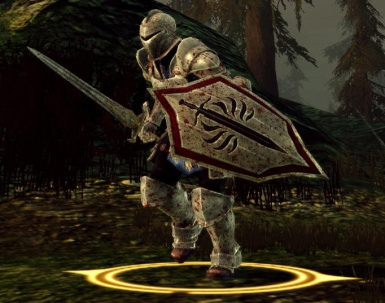 He will be dual-wielding the grey warden longsword (courtesy of tmp7704). 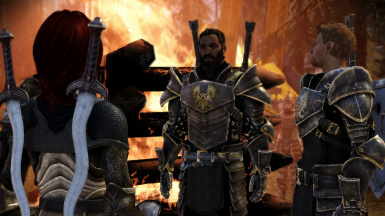 That armor and weapon set lets everyone know that he is the Grey Warden Commander. 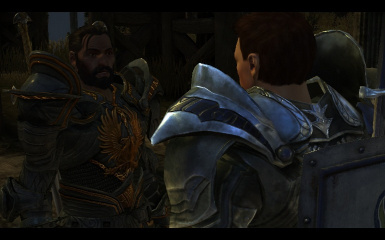 This armor will also be worn by Riordan. 3. 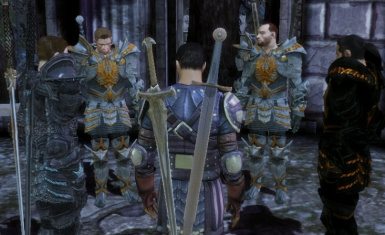 Alistair will be wearing the normal DA2 Grey Warden armors that is worn by every other grey wardens. 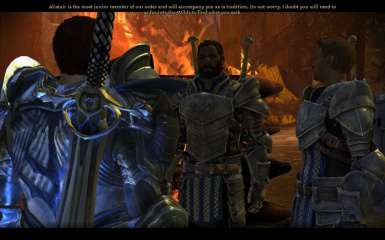 This also gives an instant impression that he is a grey warden fighting beside his fellow wardens in Ostagar. 4. 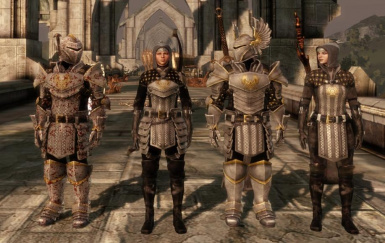 Every NPCs that are Grey Wardens are changed into wearing these DA2 armors. 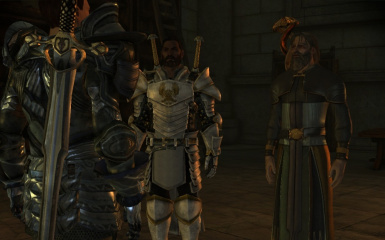 This includes Grey Wardens in the main storyline, Warden's Keep DLC and Awakening Expansion Pack. 6. 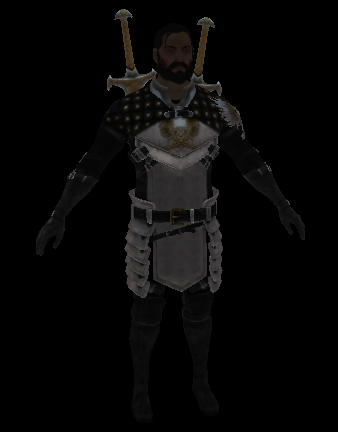 Killing the Genlock Necromancer in Return to Ostagar DLC will drop Duncan's Grey Warden Commander armor that you can use. 7. Include a Miscellaneous Runic Variant by Ghost11, Teraki, and jolly2807. 8. Include a texture pack for both the main file and the Runic Variant. 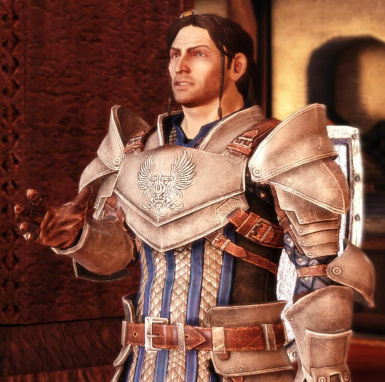 main file is the texture pack by Aremeta which you can see her initial mod here And also texture pack for the Runic Variant which is a compilation of all GW Runic armor textures from all of Nexus. 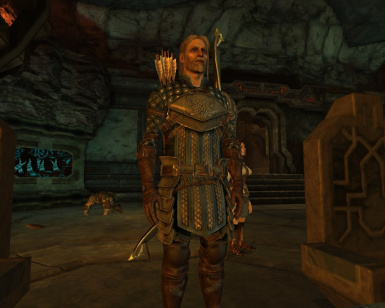 NOTE: Loading an existing save game will not change their appearance, instead they may be naked, or invisible body, and all sorts of problems. To fix this, simply start a new game, or load an earlier save game before entering the area. 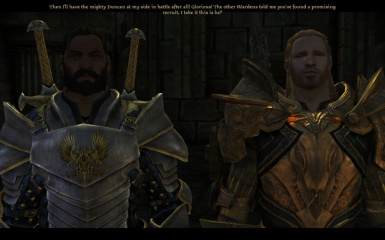 For example, if you load already inside ostagar Duncan and Alistair will have problems with their appearance or simply wearing their default. 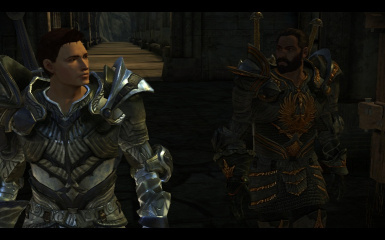 So Load a save file that's right before you leave your origins story and continue playing from there. 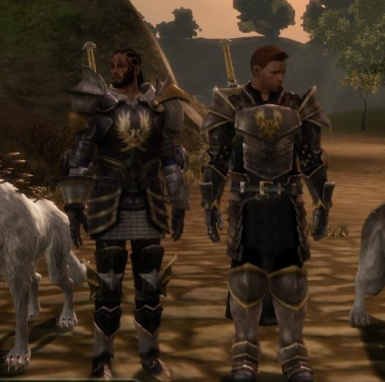 By the time you reach ostagar, Duncan and Alistair would be in their new modded armors. 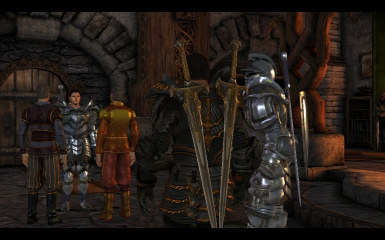 - Aremeta's Texture Pack: Screenshots here. - Blight Buster Texture Pack: Screenshots here. 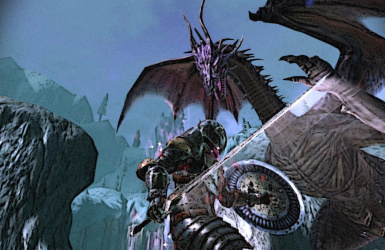 - Dragon Knight Texture Pack: Screenshots here. 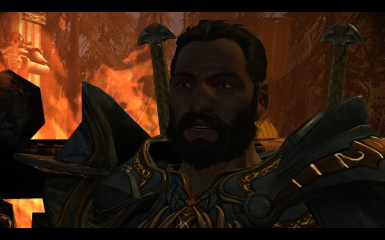 - Grey Warden B Texture Pack: Screenshots here. 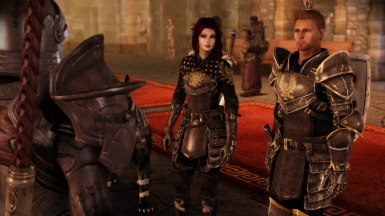 - Trailer Warden Texture Pack: Screenshots here. This mod is now compatible with Improved Atmosphere mod by SpaceAlex. 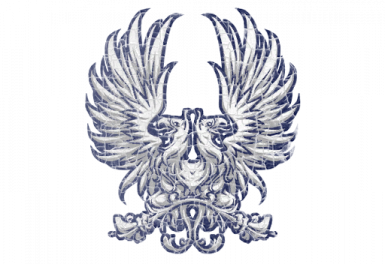 Simply download and install the Core Mod DAZIP file first, then Download and Install the Improved Atmosphere Compatibility Pack. Simply extract it into your Override folder and overwrite everything when asked. 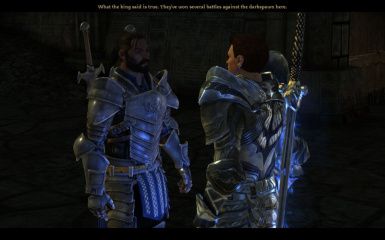 - There are some times when grey wardens show up naked or wearing yellow clothing after installing this mod. 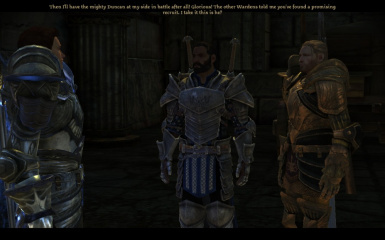 This ONLY happens when you loaded an existing save file of a map you already visited. 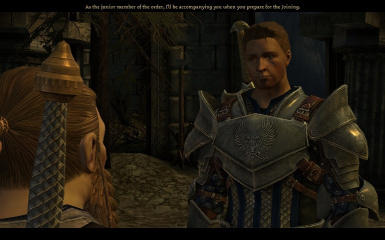 For example, if you start a game without this mod and you progress until sometime early ostagar and you save there. 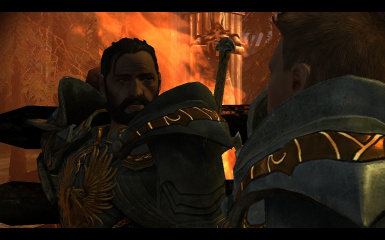 The game will save Duncan and Alistair's resources there. 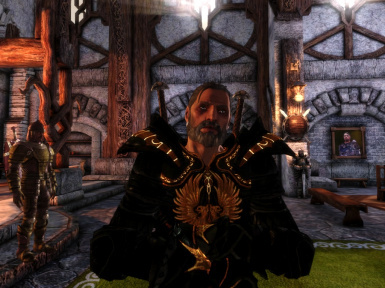 If you install this mod and you load that save game, the resources will be in conflict between what is saved within your save file and the new mod. As always in a case of conflicts, the game will not use either of them, and ends up being naked. To fix this, Simply load an earlier save file BEFORE you enter the latest map/area. 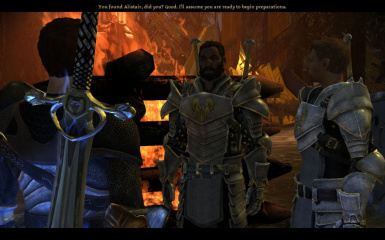 In the example above, try to load a save game in your Origins story, before you enter Ostagar the first time. It should work. 2. Download the main file and choose one Folder depending on which version you use. 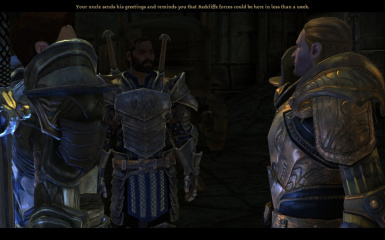 - "Improved Atmosphere" Use this folder if you ARE using Improved Atmosphere mod. 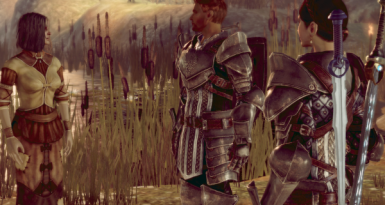 - "Grey Wardens of Ferelden" Use this folder if you are NOT using Improved Atmosphere mod. Just extract one of these folders into your Override Folder. Just remove the folders from your Override folder. - Core Mod from here. 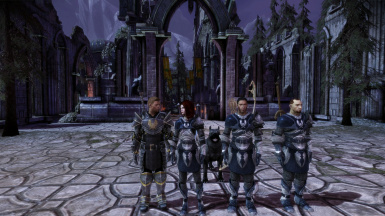 - jolly2807's: GW Runic Black Edition. 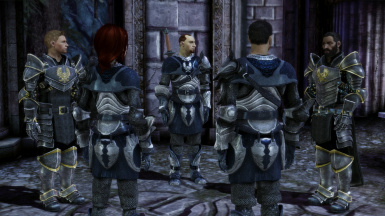 - tmp7704 for the Grey Warden Armors (http://social.bioware.com/project/4662/). 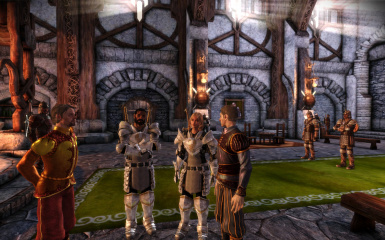 - Ghost11, Teraki, and jolly2807 for the Grey Warden Runic armors. - Amycus for the Hoods. - Aremeta, Rak72, LapisLazulli, mguitar07, WezEllison for the optional textures. 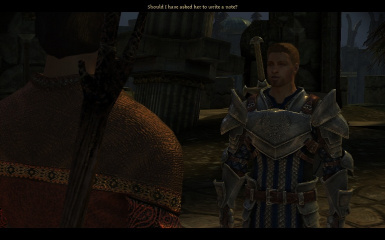 - KynarethRaven for all the help, suggestion, and the script files. 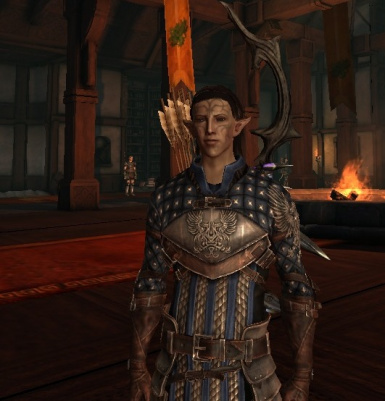 - Kutkh for the Elven Warden Armor as a basis for the Grey Warden Recruit armor. 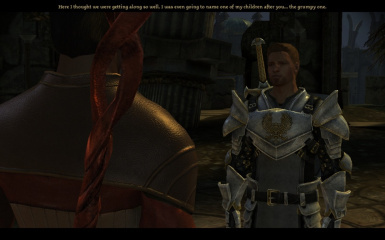 - To everyone else who supports this mod and giving suggestion which drives this mod the way it is today.